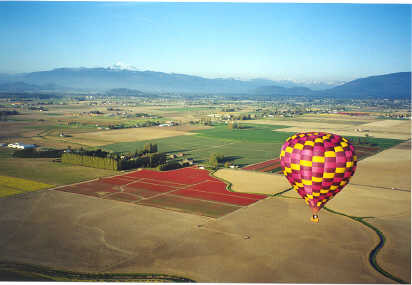 During the month of April we take our balloons to the Skagit Valley for the famous Tulip Festival held there. 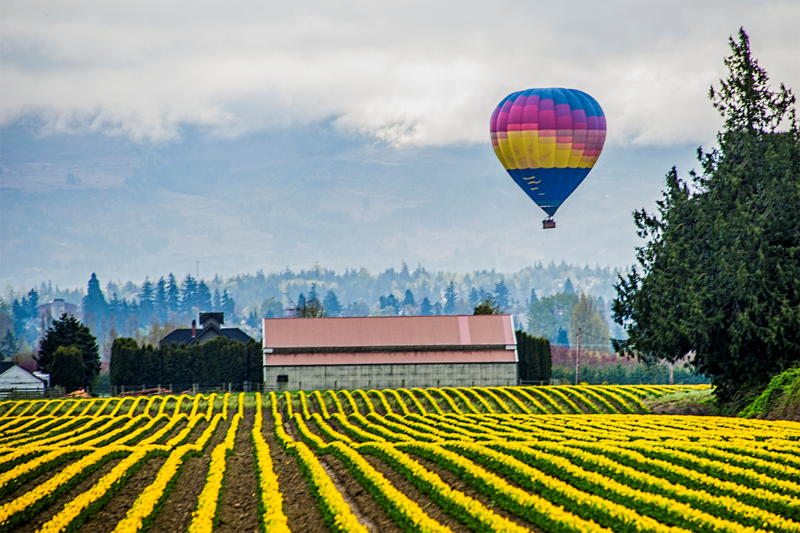 The tulip fields are so bright that it looks like they’re plugged in! Just click the button below and make your reservations. 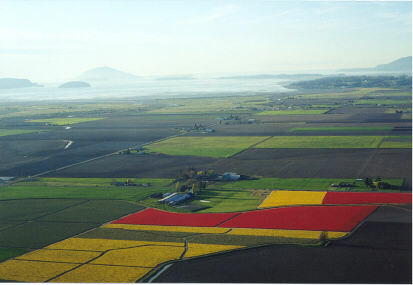 Assuming the weather cooperates, we’ll meet you near the historic town of LaConner, and drive to the best launch site for the conditions, with the goal of flying over the best of the tulip fields. 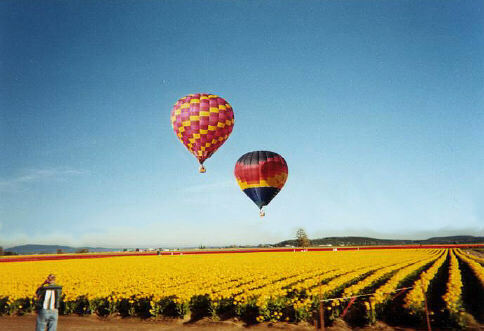 The scenery in this valley is fabulous, even without the tulips. We are close to both Puget Sound and Mt. Baker here. The flights here include the traditional post flight toast and party, and the per-person rate is $290.00–mornings only, seven days a week.